When it comes to evaluating skin care chemicals to find the best ingredients for skin care, PEG 100 Stearate can be one of those cases where it’s difficult to make a clear cut assessment. On the one hand, this ingredient has many positive properties, such as the ability to moisturize and cleanse the skin. However, some studies point to a potential link between PEG 100 Stearate and development of toxicity within the body. Some skin care experts even suggest that this ingredient has been linked to problems with reproductive health and even cancer. Because of this disparity in available information, it can be difficult to make a definitive decision as to whether PEG 100 Stearate is a good choice in your skin care routine. That is why it’s a good idea to discuss PEG 100 Stearate with a doctor or dermatologist, who can advise you whether your medical history may place you at special risk with this ingredient. In the meantime, we’ve compiled a basic overview of this chemical, to help you in your initial stages of research. How is PEG 100 Stearate Used? PEG 100 Stearate is included in skin care and beauty products for a variety of reasons, ranging from making the skin softer, to helping product formulations better keep their original consistency. As an emollient, PEG 100 Stearate is included within skin care product formulations to give the skin a softer feel. It achieves this through strengthening the skin’s moisture barrier by forming a thin fatty layer on the skin’s surface, which prevents moisture loss and increases overall hydration. This moisturizing effect increases hydration of skin cells, which in turn makes the skin softer and boosts skin health. Another use for PEG 100 Stearate has to do with its emulsification properties. 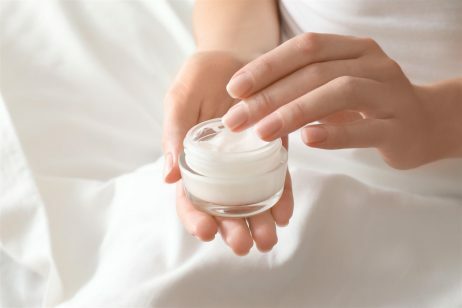 Emulsifiers are valued in the skin care and personal care industries because of their ability to mix water and oils. Without this ability, the oils in many formulations would begin to separate from the water molecules, thus undermining product texture and consistency. Including ingredients like PEG 100 Stearate in creams and face washes can effectively address these concerns. Lastly, PEG 100 Stearate can also act as a surfactant, when used in facial cleansers. Because of its ability to mix water and oil, the ingredient helps the skin surface oil (and dirt trapped inside the oil) better mix with the water, so that it is easier to wash away. Hence, it can be added to face washes and even shampoos. The are many products in the skin and personal care industry that are formulated with PEG 100 Stearate, because of its many chemical properties and relative safety. Facial cleansers, shampoos, lotions and face creams have all been known to contain this ingredient. 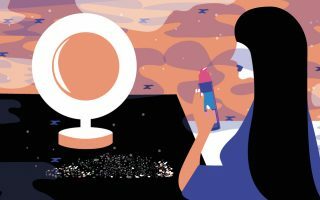 Therefore, if you’ve had problems with this chemical before, or if your doctor has advised you to stay away from PEG 100 Stearate, it’s vital to read ingredient labels for any personal care product as this chemical has so many applications. When applied topically, PEG 100 Stearate is not believed to pose significant dangers to human health. It will not deeply penetrate the skin and isn’t thought to have bioaccumulation concerns when used topically, like other ingredients, which penetrate the skin deeply and eventually build up in the body until they reach toxic levels. However, some studies have expressed concerns about PEG 100 Stearate being applied to broken, or damaged skin. Without the natural barrier created by skin cells, wounds can provide a direct channel for this ingredient to become carried into the body. Eventually, this can lead to toxicity in the organs. Therefore, anyone suffering from broken skin should exercise caution when using products with this chemical, and speak to their dermatologist about PEG 100 Stearate side effects. This also applies to individuals who have cracked skin due to dryness, as the small wounds provide a direct entry point for this chemical. Additionally, some anecdotal evidence may suggest that skin irritation is another possible side effect of PEG 100 Stearate. However, this has not been confirmed conclusively, and most skin care experts agree that this ingredient shouldn’t cause visible irritation when applied to healthy skin. There are many other ingredients that can be used as alternatives to PEG 100 Stearate, and it’s best to consider the various effects of this ingredient when discussing other chemicals. For example, when looking at PEG 100 Stearate as an emollient, there are other ingredients, like shea and cocoa butter that can also do the job very well. Glycerin is another well-known emollient that can increase skin hydration and softness. When it comes to emulsification properties of PEG 100 Stearate, alternative chemicals that are sometimes used include ceteareth 20, glycol stearate, or laureth 3. Sodium lauryl sulfate and cocoamidopropyl betaine are some of the other chemicals that can be used to mimic the surfactant properties of PEG 100 Stearate.